Supermarket bosses today admitted binning tents and sleeping bags belonging to homeless people despite night-time temperatures plunging below ZERO degrees. Staff at one store were even reported to have been seen ‘laughing and joking’ as they removed a tent from outside one supermarket. Managers at a Morrisons store in Blackburn, Lancs., and a Sainsbury’s in Halifax, West Yorks., have both confessed that staff disposed of items owned by the homeless. Uniformed staff were spotted loading items into a trolley near a ventilation unit where rough sleepers are known to store their belongings at Blackburn. They also revealed that since clearing out the belongings – which they had been warned posed a safety risk – the situation had ‘greatly improved’ with less people sleeping in the car park. A Morrisons spokesman said: “We acted following consultations with the council and the discovery of a large amount of belongings in a ventilation shaft, which were considered to be a health hazard. The spokesman said that following the consultation they issued notice to all those sleeping in the car park asking them to collect their belongings. Blackburn with Darwen Council said they had been working alongside a number of businesses in the town, including Morrisons. Sayyed Osman, Director of Adult Services and Prevention, said: “The council is working with local businesses who have concerns for the welfare of individuals begging and sleeping rough, this includes Morrisons. Councillors agreed that the issue faced by the supermarket was a ‘catch 22’ situation. Staff were also seen removing the tent of a rough sleeper from a Sainsbury’s premises in Halifax. The man had been staying beside a warm air vent outside the store since Christmas. One woman, who had been out shopping with her young family, said that she had been disgusted with the attitude of the staff, who she said were “laughing and joking” while taking the tent inside the store. She said there was no sign of the occupant at the time and that a number of customers had been astounded by the Halifax store’s actions. A Sainsbury’s spokesperson defended the removal of the tent, claiming that drug paraphernalia had been found close-by and that the site had become a danger to passers-by. 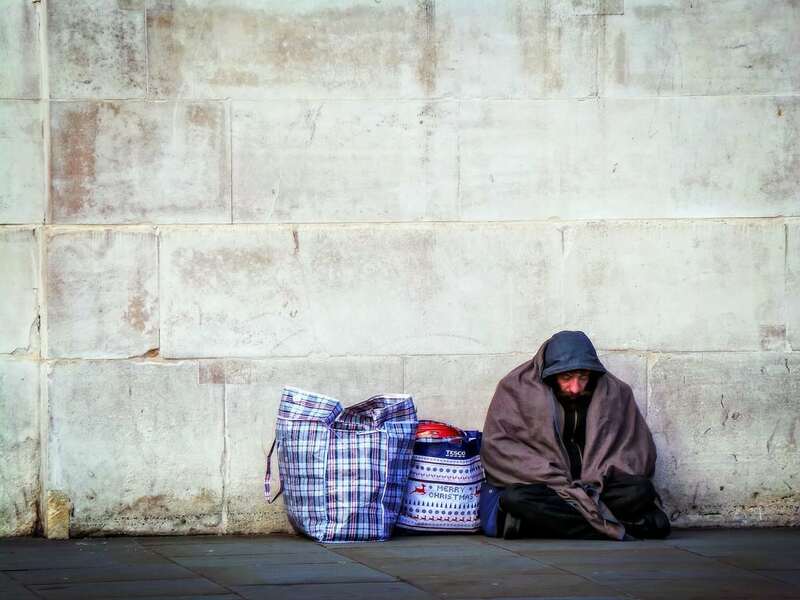 Calderdale Council’s Cabinet Member for Planning, Housing and Environment, Cllr Daniel Sutherland, said: “Supporting rough sleepers is a priority for the Council.